This event is a collaboration of the medical advisors, staff and parents involved with four support groups, who offer care and support for families facing a challenging prenatal diagnosis. Healthcare professionals and volunteers involved in the care to families faced with difficult prenatal diagnoses are coming together to explore the concept of Perinatal Hospice Care and to look at ways in which we can improve services to women who are given a life limiting diagnosis for their baby. 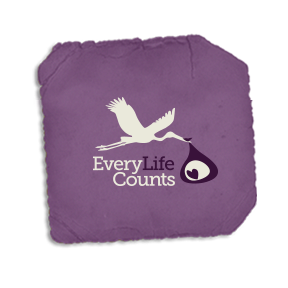 EVERY LIFE COUNTS is a support network for parents who have received a diagnosis where their child may not live for very long after birth. We provide an outreach for parents to share their memories, their stories, their love and their pain; where their children are remembered and cherished; and where we acknowledge that every life counts. Every Life Counts is seeking a new system of care called perinatal hospice for parents and babies in all maternity hospitals. A perinatal hospice would give parents the gift of time – providing dedicated, loving and supportive services so that they can have precious time they have with their special children. Parents who are told that their babies will not live long after birth are not currently getting the support and services they need. These parents and their beautiful babies, deserve all our love and support. Every Life Counts is also campaigning for the phrase “incompatible with life” to be discontinued since it is medically meaningless, offensive and very hurtful for parents whose unborn babies may be sick, but are alive and kicking. The International Trisomy Alliance (ITA) is a volunteer based, not-for-profit organization which provides information and much needed resources for support groups, physicians, and medical professionals focusing on Trisomy 13 and Trisomy 18. These conditions, also known as Patau and Edwards syndromes, can often leave the loved ones of those babies diagnosed, with a sense of bewilderment and fear as they contemplate how they will deal with a diagnosis about which they may understand very little. ITA acts as a mechanism which allows different groups to share new information as well as acting as an invaluable go-to resource of medical research to provide doctors and caregivers with the best available peer-reviewed literature related to these conditions and the care of these children. Making this research accessible is important for both medical professionals and families. Doctors frequently make decisions related to patients’ care based on research reported in medical journals but it is also helpful for parents to review these publications in order for them to make informed decisions related to their children’s care. Founded in 2012, ITA is committed to advancing and encouraging research related to Trisomy 13 and 18 and providing resources needed to benefit the children and empower families affected by these serious conditions.